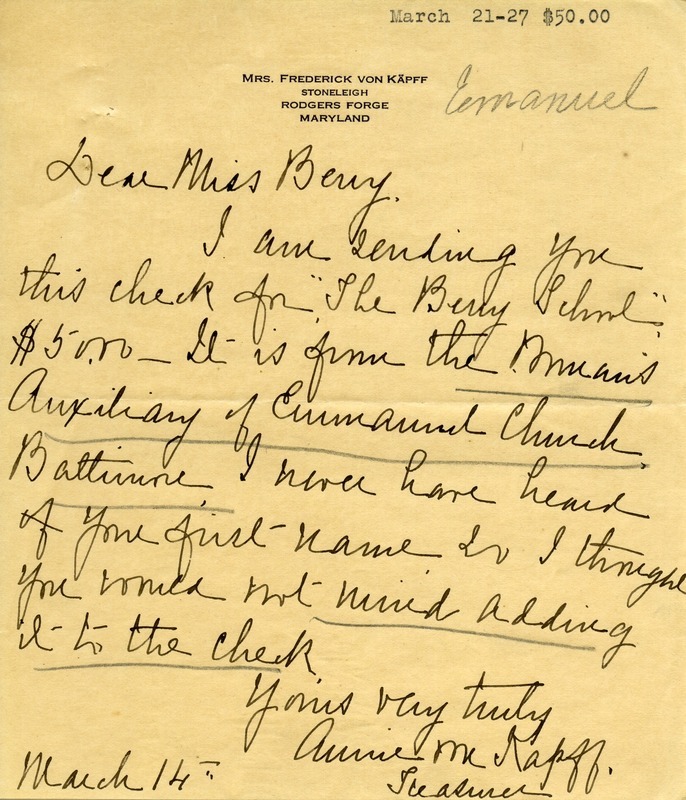 Letter and check from The Woman's Auxiliary of Emmanuel Church Baltimore for $50.00 . The letter also asks that the first name be inserted on check as they have never heard it. Mrs. Annie M. Von Kapff, “Letter to Martha Berry from Annie M. Von Kapff.” Martha Berry Digital Archive. Eds. Schlitz, Stephanie A., Meg Ratliff, Bob Williams, et al. Mount Berry: Berry College, 2012. accessed April 26, 2019, https://mbda.berry.edu/items/show/5987.